The KNIT CamBRIDGE project is the brainchild of Sue Sturdy, an fiber artist based in Cambridge, Ontario.Â Cambridge used to be a major textile production and manufacturing hub in Ontario, and her project was designed to mark and remind residents of that often-forgotten history. 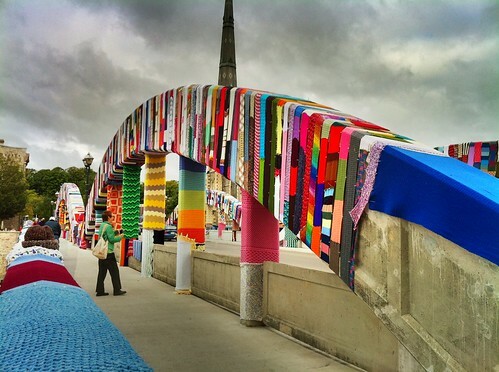 The work started in April of 2009, and was completed on September 11, 2010, when 16,000 zip ties were used to wrap the bridge in knitwear.Â Over 1,000 knitters from all over the world contributed – from the Cambridge area, from further afield in Canada, from the US, and from as far away as New Zealand.Â The oldest knitter participating was 103, the youngest 5. And it wasn’t just women, as some expected – a significant number of contributions came from men.Â Bob Miller, a retired lawyer, proudly contributed his first completed knitting project. Some of the knitting was new, created especially for the bridge; other pieces were repurposed.Â Marg Grapes contributed pieces of a fireplace cover she knit (but never got around to assembling) in the 1960s. Another knitter contributed an unworn scarf she had knitted for her then-boyfriend when she was a student at University of Toronto in the 1970s. Bill Wellsman, a local resident who used to walk the bridge every day, was memorialized by his wife with a contribution, embroidered with his name. When we spoke by phone, Sue told me she is thrilled and amazed by the way the larger knitting community came together to complete the collaborative work of art – and not just in the knitting, but also in the assembly and mounting.Â She stresses that everyone deserves to share in the credit and accolades she is receiving.Â A list of contributors is here. And the community has wholeheartedly embraced the project – one resident commented that it was like the bridge had been given a hug. Visitors to the city are loving it – they are utterly taken aback by the collaborative transformation.Â Sue says that even the few who voiced doubts at the start of the project – about its feasibility, its practicality, and perhaps even her sanity – have all taken their words back. Even after the installation and official unveiling, pieces are still being contributed.Â A colleague of Sue’s proudly gave her a pair of socks to be added just this week. 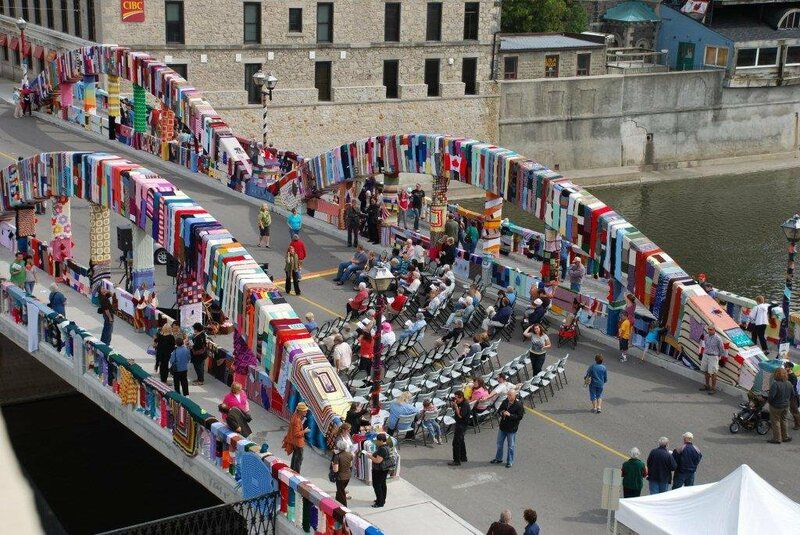 The bridge cozy will be in place until September 27th.Â At that time, the pieces will be taken down, cleaned, and refashioned into scarves that will be sold to raise money for charity.Â Other pieces will be shaped into blankets to be donated to shelters in the Cambridge area. If you’re in the Cambridge area, do make a point of going to see it, and if you’ve got time on the 27th, volunteers are needed to help take down the pieces and prepare them for cleaning and eventual donation. 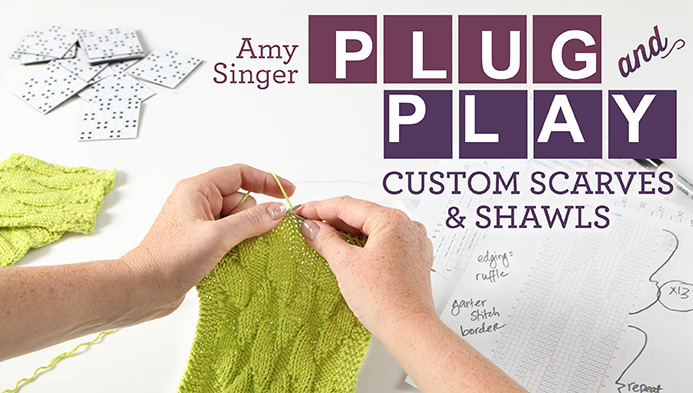 Beautiful with simple lines – looking forward to making it! oops wrong pic – love this bridge! That is gorgeous, and I’m not usually that into knit graffiti art. How cool is that! I so want to do this. She should join efforts with KnittaPlease.com who has been doing ‘yarn bombings’ around the world since 2005. LOVE it! Pingback: Stumbling Over Chaos :: A flood of linkity! That is truly awe inspiring. Thanks for sharing. This project made my morning. I only wish I could get up there to see it before they take it down. That is amazing… and so beautiful! 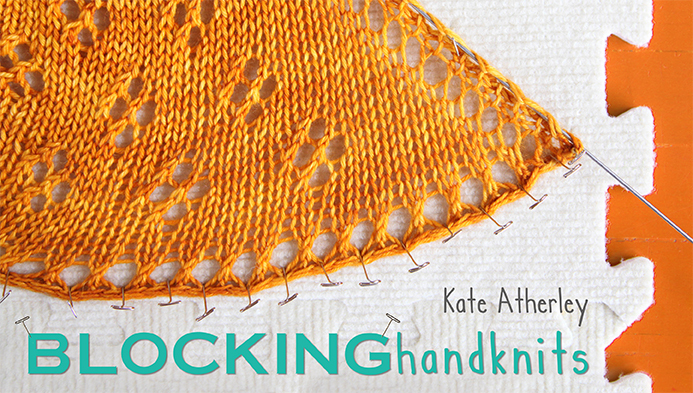 Thanks for doing this piece on KNIT camBRIDGE. It was a part of Sue’s Artist-in-Residence program at the Cambridge Centre for the Arts. I work at the Centre and have been assisting Sue. It has been an amazing adventure. We are so pleased. By the way, the work started in April 2010, not 2009. So in less that 5 months we managed to realize Sue’s vision because of the wonderful contributions of countless people! Wow! So beautiful I have no words! So motivating! I love it and wish I could be there in person. So want to be part of a yarn bombing – in Denver we have crocheted flowers blooming on one side of a light rail station downtown and it’s amazing to see. Such a shame they can’t leave it up longer. It’s just so beautiful! Wow! Reason #billion-and-three I wish I lived in Canada… I even got a little choked up there (when I got to the hug part). 🙂 Thanks for writing about this! This is amazing! It gives me goose bumps- in a good way! You should all be so proud of yourselves! I work with cancer patients- by giving them each a prayer shawl. This has given me so many ideas! Congratulations! 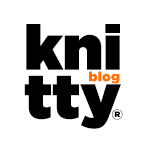 Don’t you think that the world would look so much more cheerful covered in lovely knit? 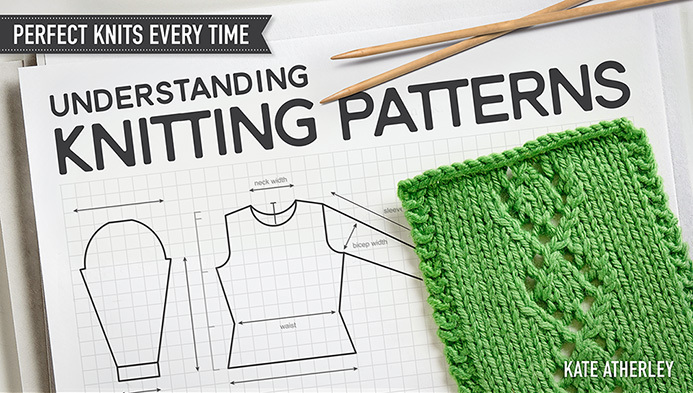 Knitting is such a magical happening. 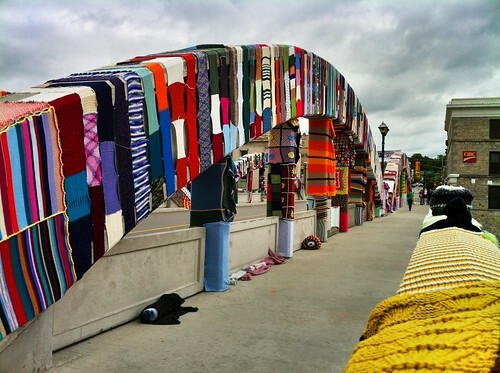 The bridge is a testomony of the artistic value of yarn. The bridge looks so “happy”. Oh my goodness this is such a Heart Warming article. 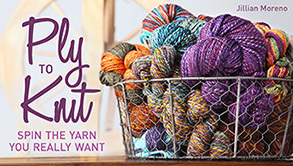 It is a bond of love given from the knitters community of the world. What a beautiful project! I had been reading about cities in which knitters used yarn to beautify the cityscape, but this outdoes them all.